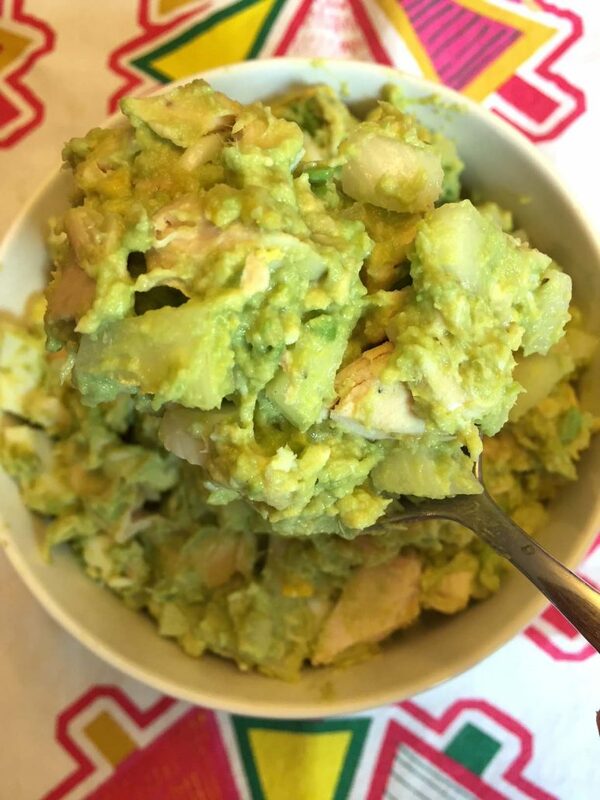 This avocado chicken salad is so healthy and delicious! 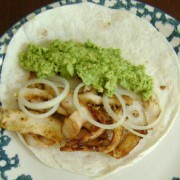 It uses avocado instead of mayo and tastes amazing! 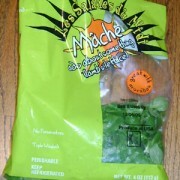 Did you know that mashed avocado makes an excellent mayo substitute for salads? Commercial mayo is so full of chemicals and preservatives, so I’m always glad to be able to use something else in it’s place 🙂 Avocado is all natural and super healthy, what a welcome substitute for mayo in this creamy chicken salad! 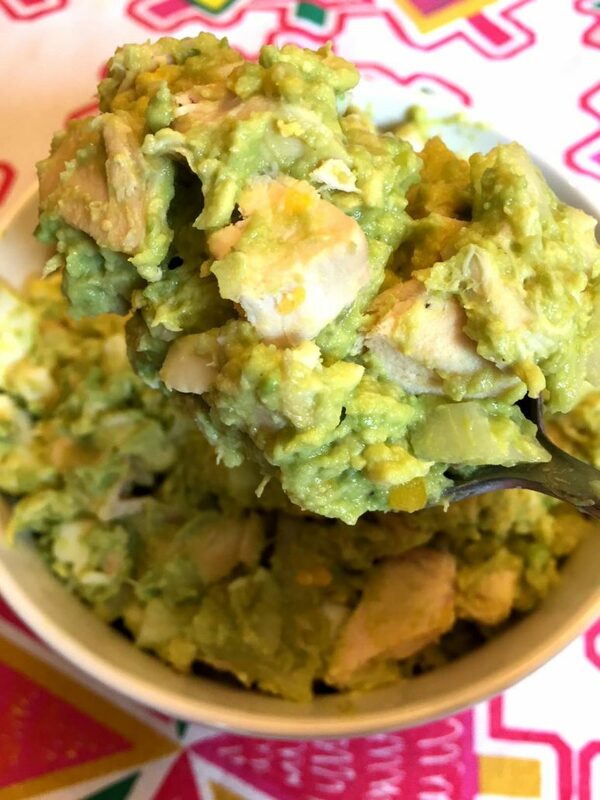 This avocado chicken salad is so yummy, I actually prefer it to the regular chicken salad! 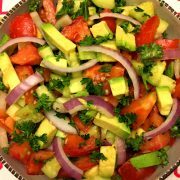 I also have a recipe for avocado tuna salad that uses the exact same method! 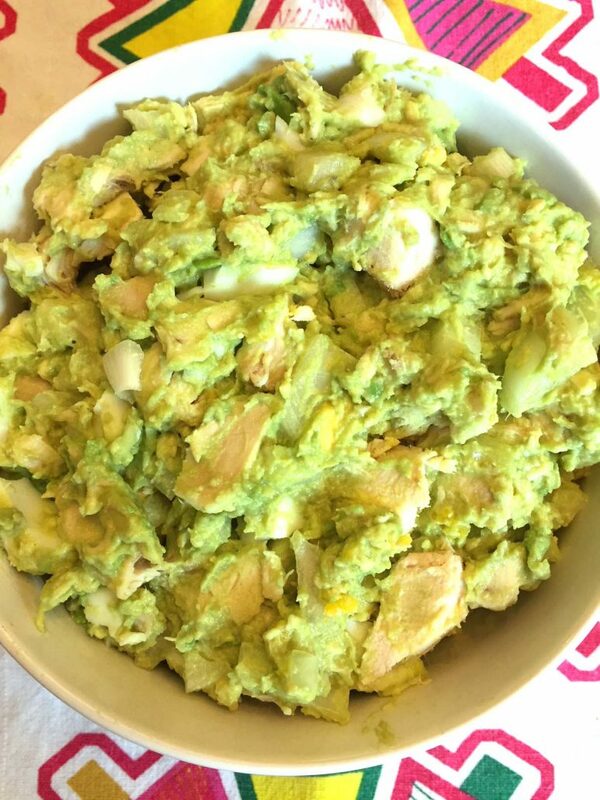 Making this avocado chicken salad is super easy and uses just 5 simple ingredients: chicken, eggs, onion, avocado and lime. I always make it with leftover Rotisserie chicken – that’s a perfect way to stretch that chicken into another healthy meal! And don’t throw out those chicken bones – I can a perfect recipe for rich delicious chicken stock a.k.a. bone broth (see Instant Pot chicken bone broth or Slow Cooker bone broth). 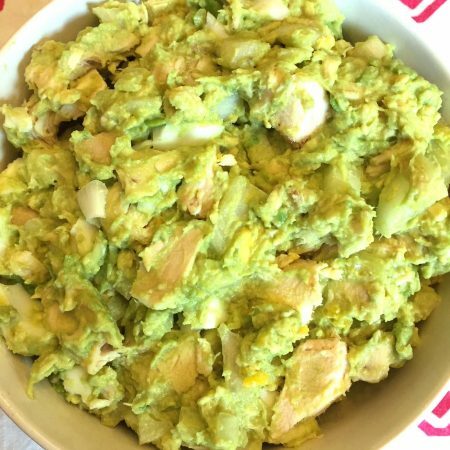 This avocado chicken salad is super filling – this is not some little side salad, this is the real main dish! 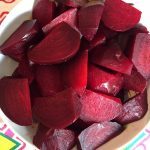 You can serve it on its own, with some side dishes, on a bun to make a chicken salad sandwich or on large lettuce leaves to make lettuce wraps! 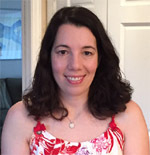 If you are on a keto or other type of low-carb diet, you can still have your chicken salad sandwich! Just use my easy recipe for keto bread! This amazing keto bread actually tastes like real bread – this is a truly life-changing recipe for anyone on a keto diet and a MUST TRY! 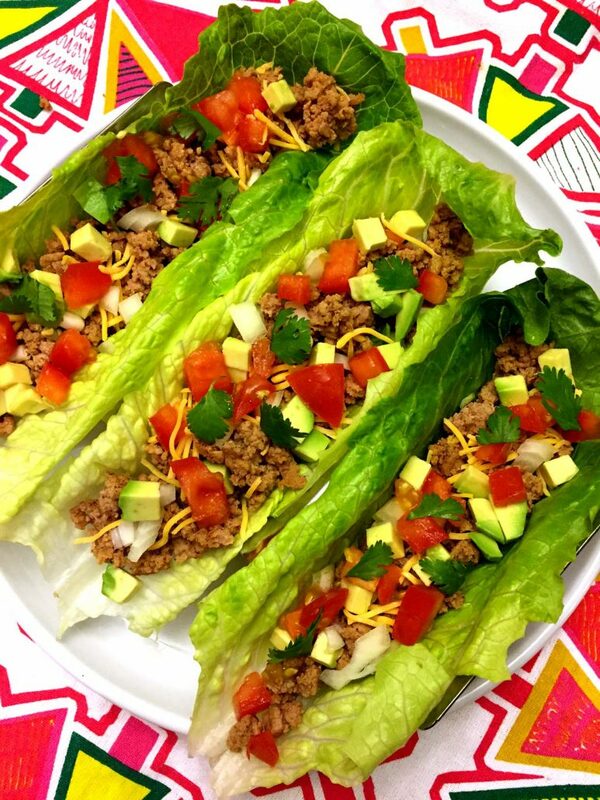 Turkey Taco Lettuce Wraps – so easy to make and delicious, this is a perfect low-carb meal! Keto Baked Meatballs – these meatballs don’t contain any bread crumbs and are super easy to make and so tender! Sugar Free Popsicles – amazing strawberry popsicles made with fresh strawberries and no sugar! 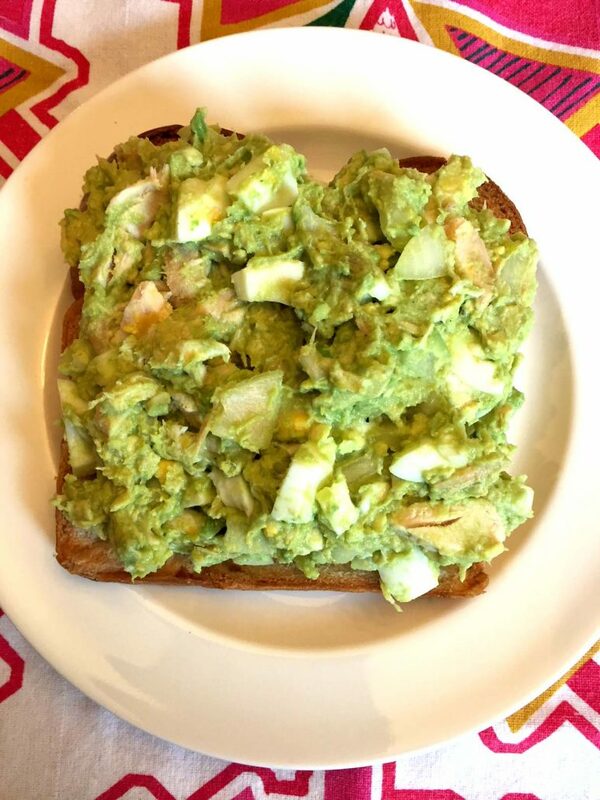 Avocado Guacamole – truly the best ever! 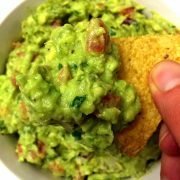 This epic guacamole is always a hit of every party! Stuffed Zucchini Boats – zucchini stuffed with ground meat and cheese and baked in the oven! 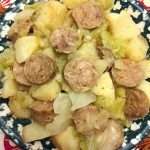 Easy yummy low-carb dinner! 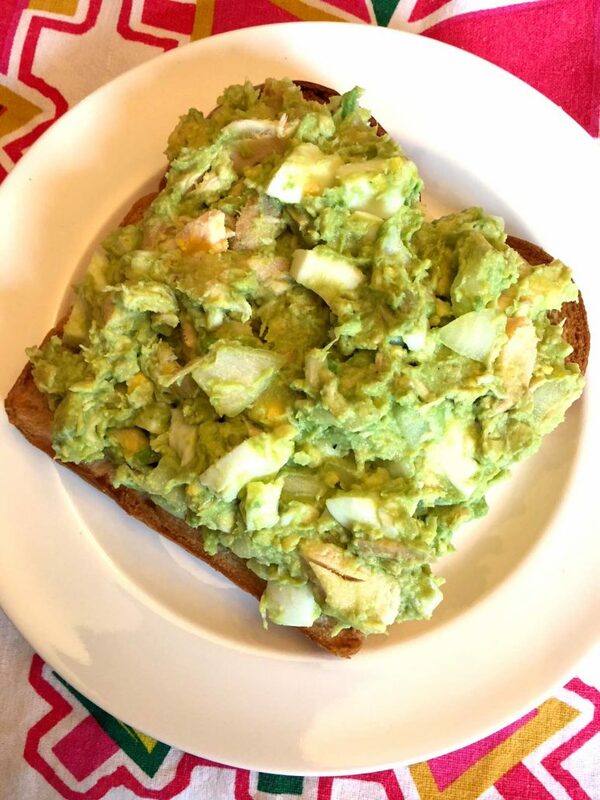 This avocado chicken salad is so healthy and yummy! Just 5 simple ingredients, all natural and no mayo! So filling and delicious, perfect low-carb keto dinner! 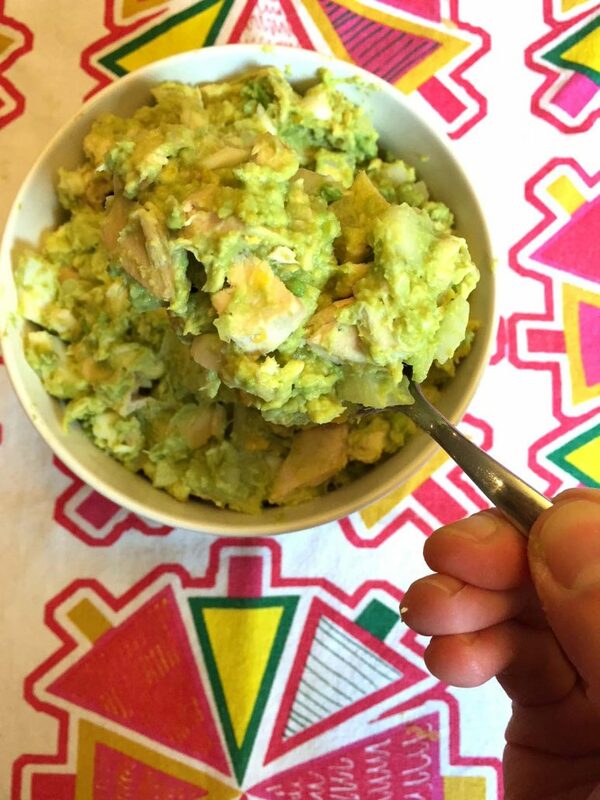 Mash the avocado with a fork in a bowl. 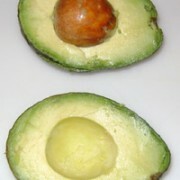 Squeeze the lime juice into avocado and mix to combine. Add chopped chicken, eggs and onion. Mix everything to combine. Add salt and pepper to taste. 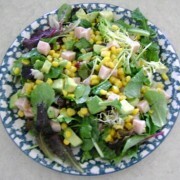 https://www.melaniecooks.com/wp-content/uploads/2018/05/chicken_avocado_salad.jpg 1632 1224 Melanie Mendelson https://www.melaniecooks.com/wp-content/uploads/2015/11/logo-new2.png Melanie Mendelson2018-06-04 07:12:532018-06-01 12:53:19Avocado Chicken Salad Recipe - Healthy & No Mayo!